Although in the summer months I don't use lip balms, except for at bedtime..when winter comes I turn to balms a lot more. The cold and central heating really dry out my lips and so I like to have a few balms in my possession. One in the car, various handbags, it is a hassle to remember to take them along with me, hence having a few different ones :-) That way I always have one ready to hand. 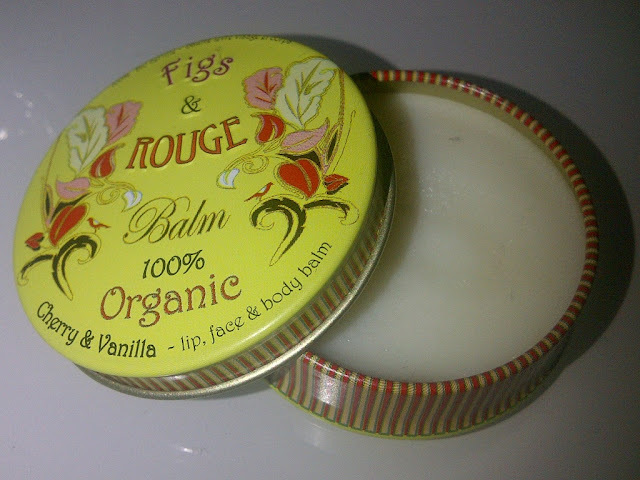 Figs & Rouge 100% Organic Balm in Cherry & Vanilla is described as a lip, face and body balm. it has a delicious fizzy cherry scent and glides onto lips leaving a soft and silky coating which is instantly soothing and softening. This tiny tin of vintage cuteness has become a winter essential and the packaging is elegant to boot. I have noticed that Cherry & Vanilla is no longer listed on the website sadly (although some outlets still have stock) however there are 7 other varieties to choose from. I have also bought the Rambling Rose tin and am sure I am going to be trying some of the others in the future! 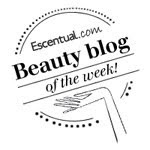 I got one of these in a Latest in Beauty Box a few months ago & loved using it. They do some really nice scents & its a brand Id defo buy from again.